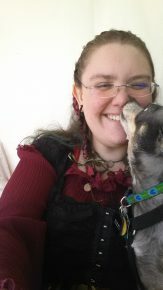 J. Lily Corbie is a lifelong horror and fantasy enthusiast. She’s passionate about mythology and folklore and loves bats, bones, butterflies, and octopuses. Her work has appeared on Pseudopod. She lives with three cats and a dog, and you can follow her on Facebook and Twitter.